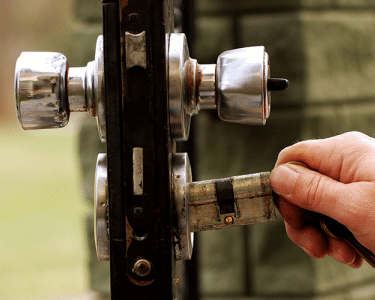 Our experienced team of locksmiths can help you with a wide range of commercial locksmithing services. 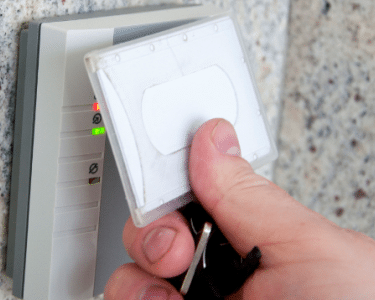 Utilizing state-of-the-art technology, we can help your business stay protected 24/7 with master keying, access control systems, and lock installation or repair. Remember that we don’t just offer our services to the immediate Syracuse, NY area. We can also assist you if your business is anywhere within 70 miles of Syracuse, enabling us to serve all of Central New York. Masterkeying provides great convenience to businesses by allowing locks to be accessed by their own key as well as a “master” key. The master key can access all areas of your facility while individual keys only let people into specific areas. We can also design a system that also integrates sub-master keys that can access specific departments or divisions within your facility. Masterkeying offers great convenience, but due to the physical characteristics of the way locks work, it can also decrease the pick resistance of the lock. To discuss the needs of your business and building(s), rely on our decades of experience. Our experts are ready to help you design and implement the right system . A keypad door lock is one of the latest technologies that enhance a home or commercial property’s security. 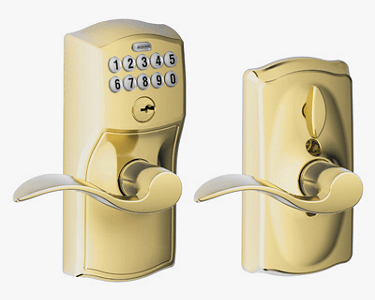 This kind of lock is programmable and provides a keyless locking system that makes it very convenient to use. Worn out keys, lost keys and even heavy pockets are avoided when a keypad door lock is installed. Wherever you go or whatever you do, the hassle of bringing and securing your keys is eliminated because of the electronic keypad door lock present in your home or commercial property. Fradon Lock technicians are up to date on the latest keypad door lock models (including the latest Bluetooth enabled models) as well as the techniques needed to properly install or repair them. In addition, they’ll also educate you and your team on proper use. If you’re a business owner, it’s important to contact us when any part of your door locks aren’t functioning properly. You may also want to consider rekeying your locks because an employee has left or there is a change in management. Rekeying is less expensive than replacing in most cases. When rekeying a lock, the locksmith will replace the pins and springs within the lock mechanism so that they work with a new key. Whether you purchased a new door lock from Fradon Lock or another retailer, our professional locksmiths can handle the installation to make sure your new lock functions perfectly. If you purchase your lock from Fradon Lock, we may even be able to match your existing key. Alignment is assured and you’ll have the peace of mind knowing that installation was done properly. Access control is the ability to control access to buildings and departments without the use of standard keys. 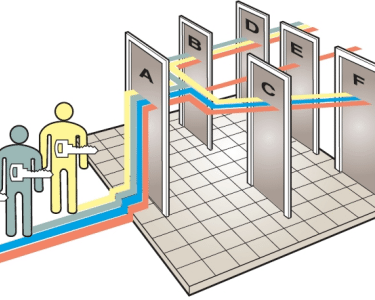 Access control can be through cards, pushbutton entry, or even biometrics. Through the use of access control systems you can control access by such parameters as date, time, or something more specific. Contact us with your specific security concerns or needs and we can help you determine the right access or key control system for your application. We’re here and eager to assist! Call now to schedule a time for a visit from one of our technicians or to discuss your needs in more detail. To schedule or inquire about our commercial locksmith services, simply call (315) 472-6988 or toll free at (800) 447-0591.